Though Columbus might not be as booming as New York City or Chicago with their pizza reputation, they have had quite a few visitors happily surprised. Not that I think you would want to move there just for pizza, but I’d suggest keeping a listings tab just in case! Harvest Pizzeria is a Columbus pizza chain that is located in the German Village, Clintonville, Dublin, and Over-The-Rhine boroughs. It’s also known as Harvest Kitchen + Bar, depending on the location (aka the Clintonville and Over-The-Rhine branches). 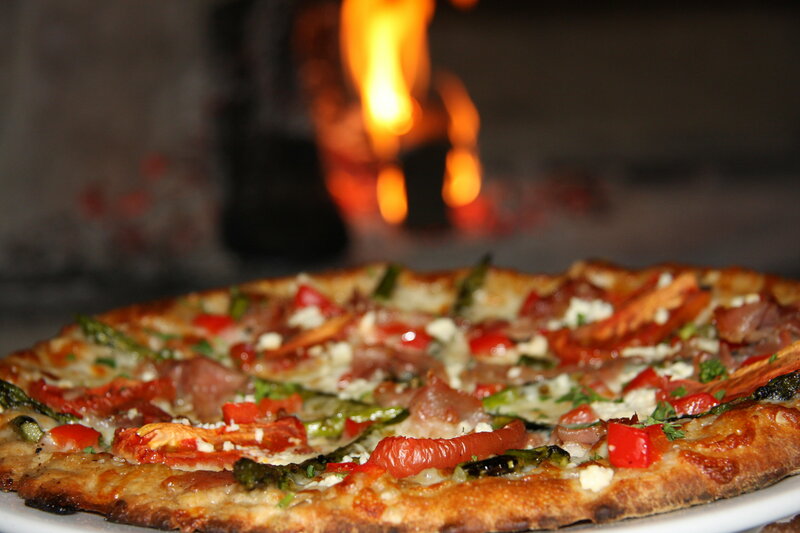 They pride themselves in gourmet, artisan pizzas made from the fresh ingredients they buy from their partners’ local farms. They also provide pizzas to Curio Cocktails. We may not be able to officially confirm if it’s the top-rated Italian restaurant in Columbus, but it’s definitely up there in the top 20. 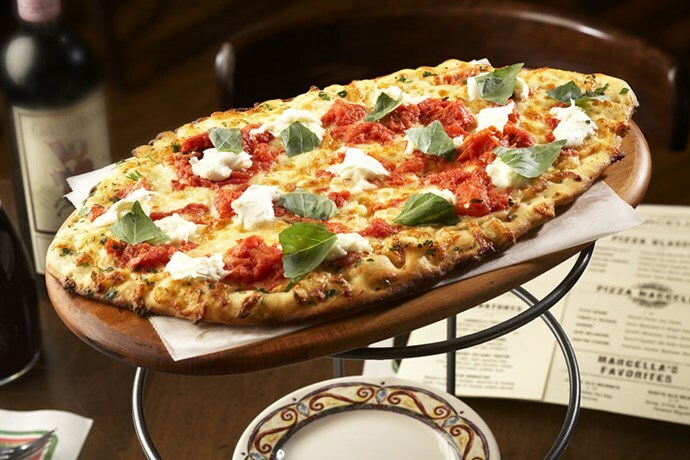 Borgata Pizza Cafe serves not only pizzas, but also salads, sandwiches, and pastas. They have two locations in Ohio: Worthington and Columbus. 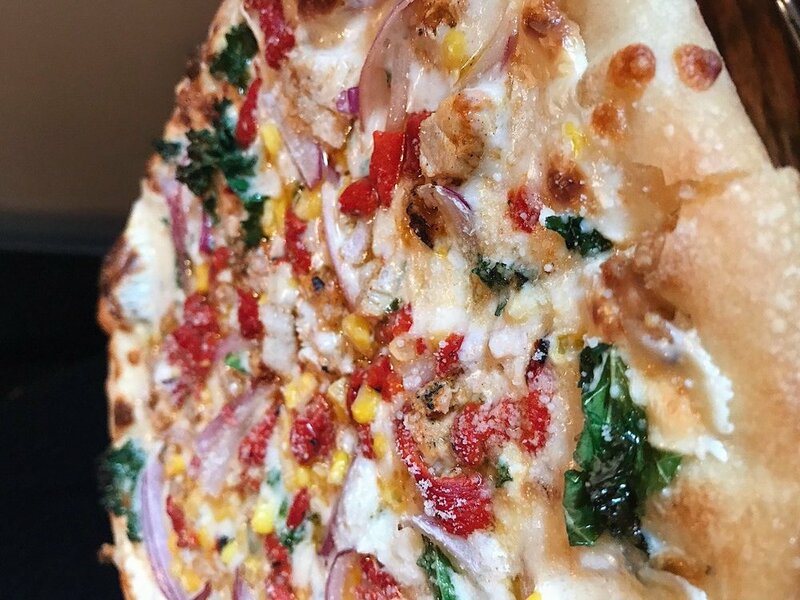 Worthington has the full bar and Monday night football special, but you could still have the best part in Columbus--the pizza! As part of the Cameron Mitchell restaurant family, Marcella’s carries the same gourmet vision. Their traditional pizzas are made fresh and styled with a “flatbread” look that makes them look more artsy (and good for Instagram!). Don’t forget to explore--it’s an Italian eatery, so it’s as much about the other dishes (and dare I say dessert) as it is about the pizza. The owner and creator of Leone’s Pizza, Ryan Larose, has spent his career making pizzas since he was 15. Since then, his passion has brought his restaurant to be one of the most popular in Columbus. The Tarfuto pizza is an award-winning recipe, made with rosemary, wild mushrooms, and truffle oil. Hounddog's Three Degree Pizza is “pizza for the people.” Though they offer a selection of specialty pizzas, they also have a “make your own” option that includes three different crusts (thin, “Smokin’ Joe’s” which is a thick garlic butter crust, or gluten-free) and even lets you pick from five different sauces. Careful! The sauces can be relatively mild (like Joes, traditional red sauce) to Howlin’ (even more spicy than spicy). 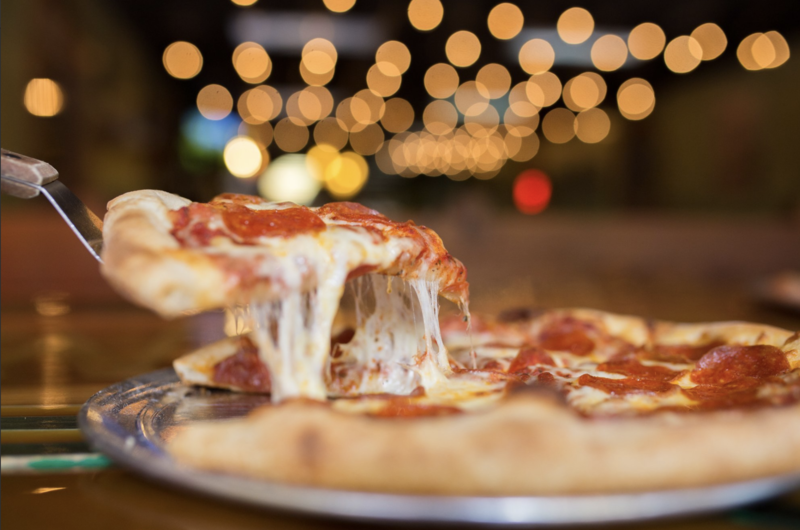 Mikey’s Late Night Slice started as a small pizza shack in a parking lot and evolved into a Columbus-wide pizza chain. Though it’s now a popular late-night destination (open until 3 or 4 am! 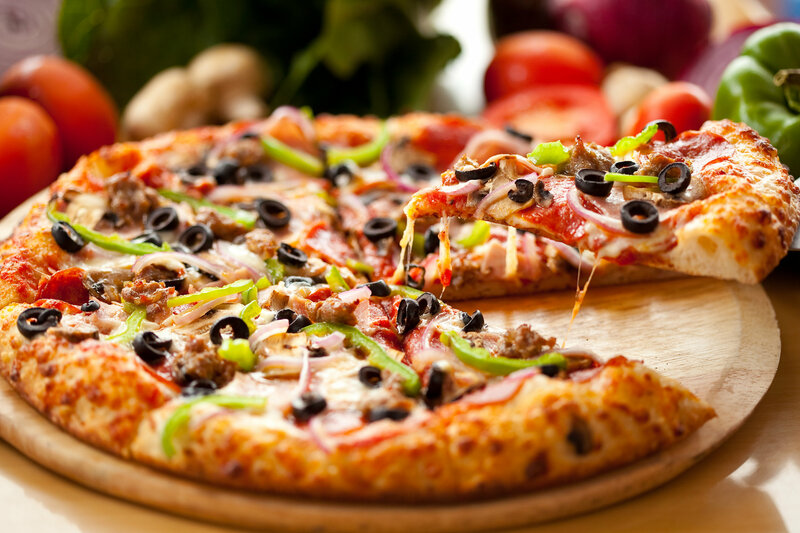 ), they keep the theme traditional by selling pizza by the slice with variations in common recipes. Here, there's no need for gourmet, hard-to-pronounce ingredients. 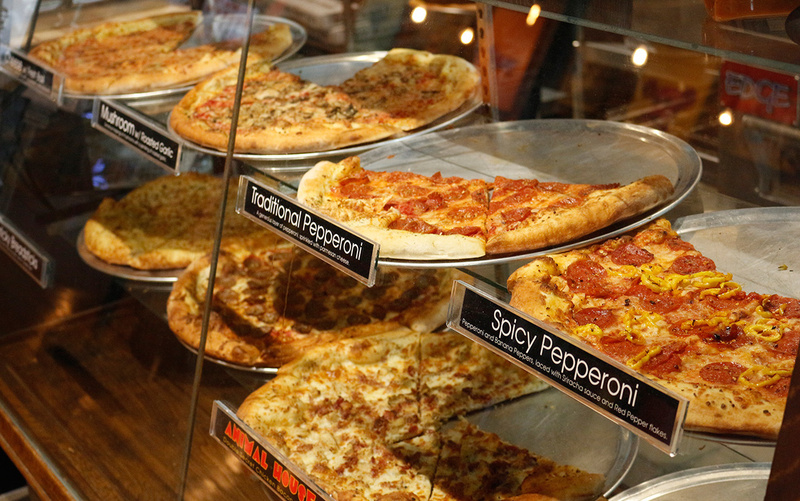 If you’re a night owl with a nostalgic, late-night pizza craving, buy a slice or two here or split a pie with friends. Disclaimer: Adriatico’s is not actually from New York. 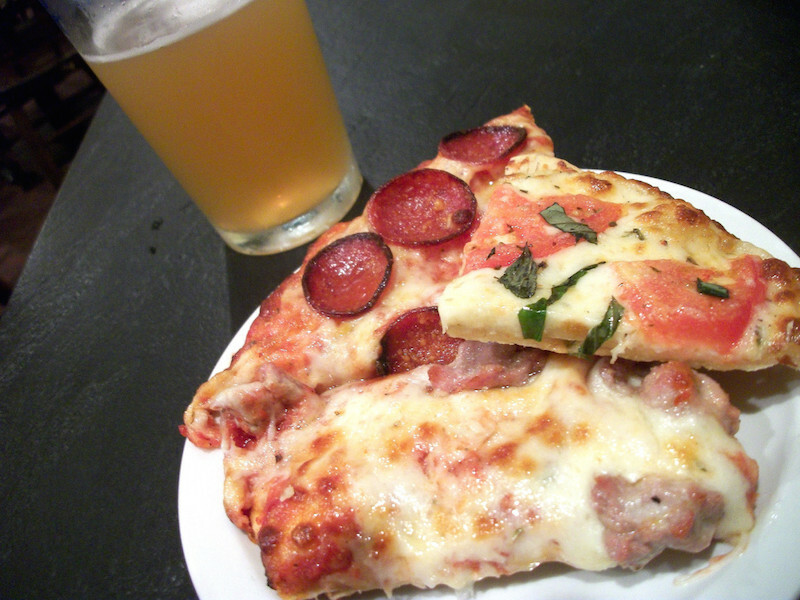 Adriatico’s New York Style Pizza is located on the Ohio State University campus. Every Sunday, students get 20% off with their Buck ID, so If you have a friend from OSU, consider accompanying them for Sunday pizza time. Even though they are friendly towards the students, anybody is welcome. Besides pizza, OH Pizza & Brew also serves sandwiches and bar food such as decorated tots and wings--and don’t forget the deep fried desserts! If you thought you’d need to wait until the next state fair for funnel cake and deep fried Oreos, you’re in for a treat. 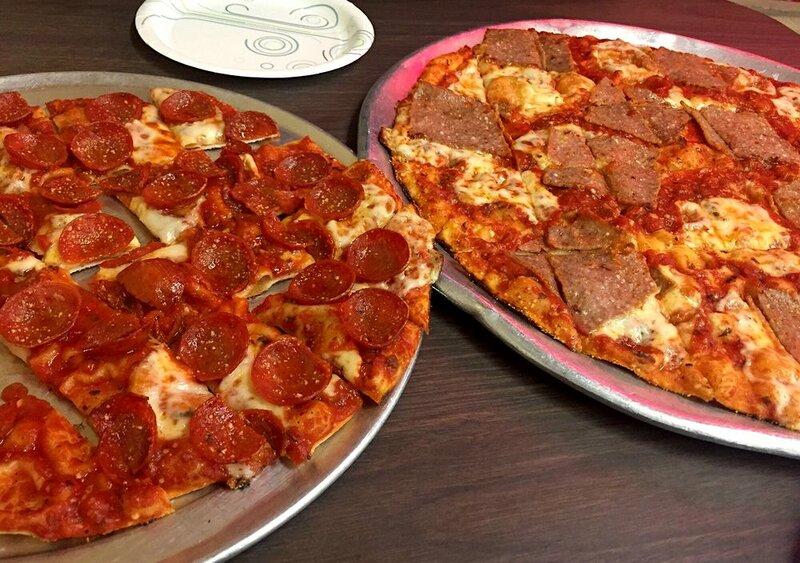 Rubino’s Pizza is a classic pizzeria for Columbus suburb Bexley’s residents. It gives the old school diner vibe and has a small menu characterized by toppings rather than names. It also only takes cash. 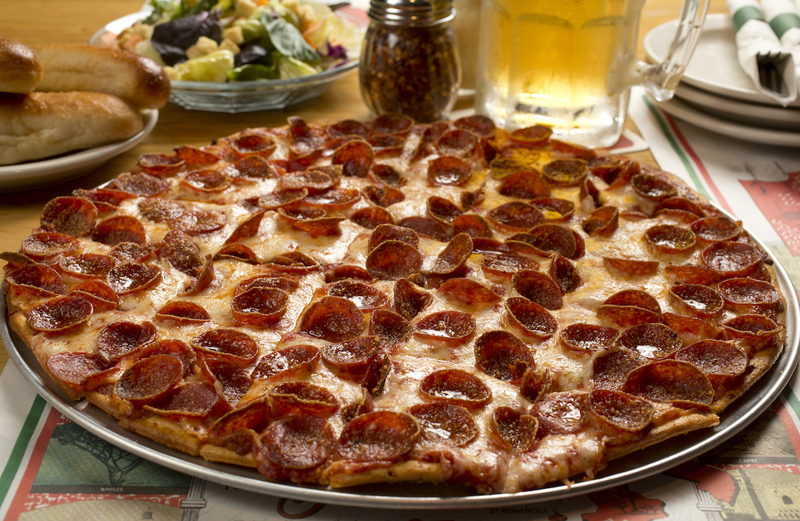 Rubino’s is unlike other Columbus pizzerias because of its characteristically thin crust pizza. 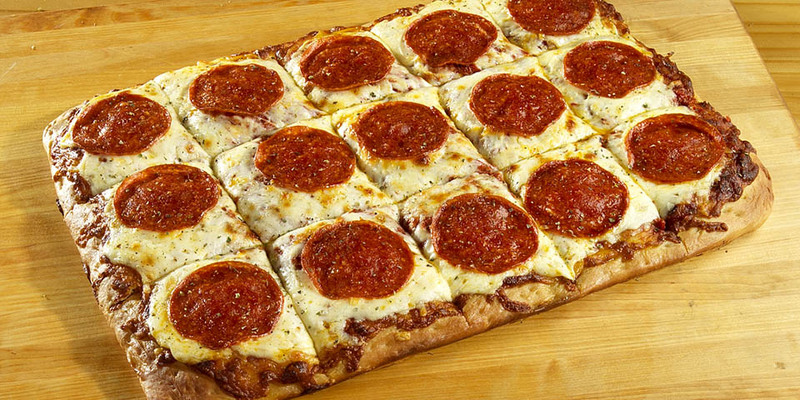 If you’re not a fan of thin crust, you might want to skip it. A family-owned restaurant, Villa Nova Ristorante comes with a history. Aside from delicious pizza, the restaurant also includes a large collection of copper teapots and gauges--obsessions of the late former owner, Frank Colleli. Over 60 years ago, Thomas Iacono brought his family recipe over from Italy and founded his first restaurant. 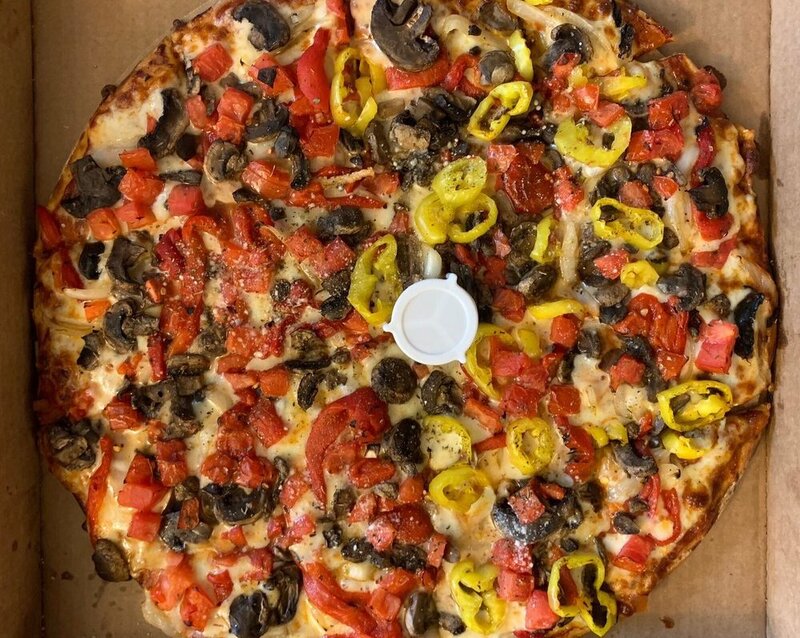 Now, the restaurant has been a “Central Ohio Tradition Since 1952.” Even today, Tommy’s Pizza is known for thin, crispy crust, and daily-made fresh dough and sauce. 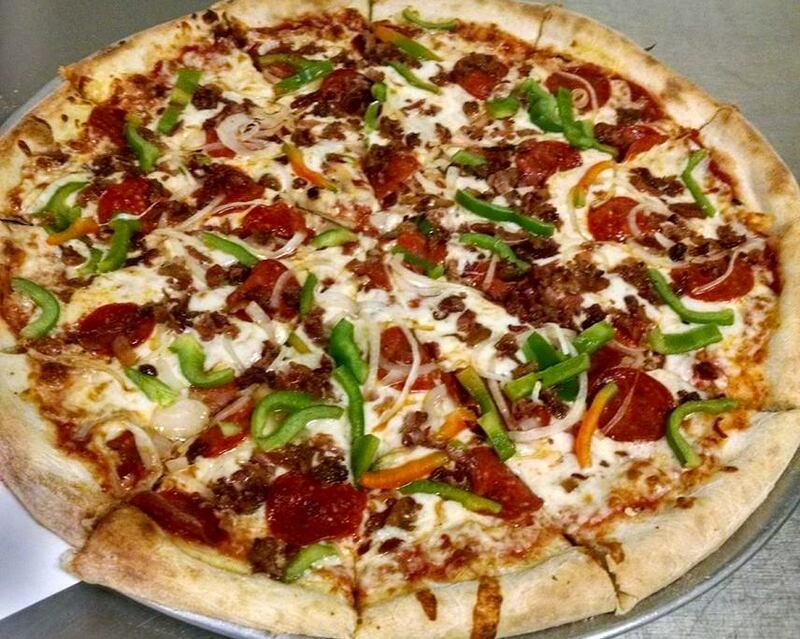 One of their featured pizzas, the All-the-Way Pizza, is their spin on a supreme pizza, topped with pepperoni, mushroom, sausage, peppers, and onions. 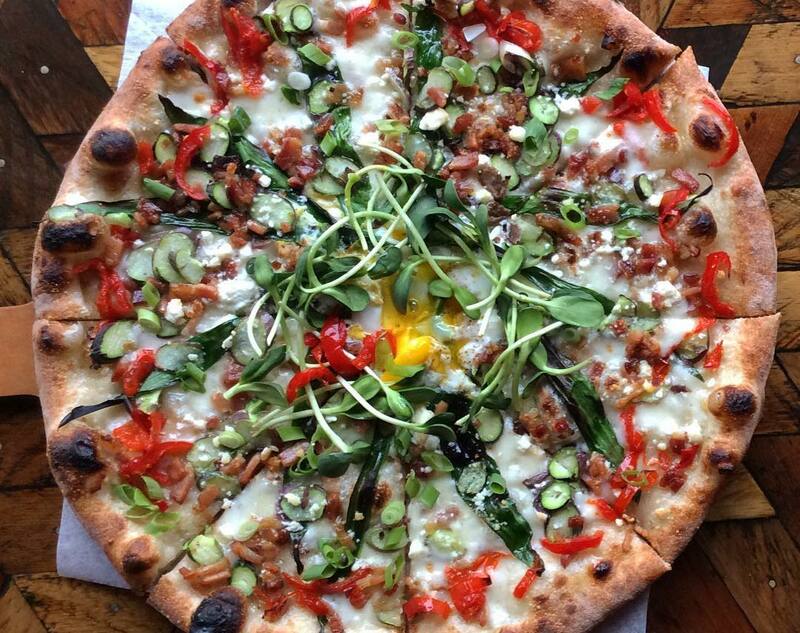 Pizza Cucinova specializes in Neapolitan artisan pizza that is made with fresh ingredients. Even though it’s a franchise, most of the locations are located in the Columbus area. 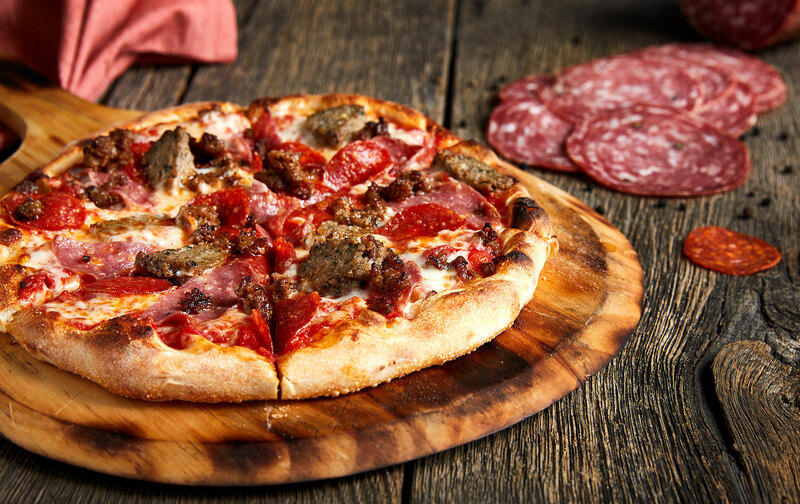 Most notably, they have a custom personal pizza option that allows you unlimited toppings for only $8! There’s a reason why it’s named after the yellow brick road. 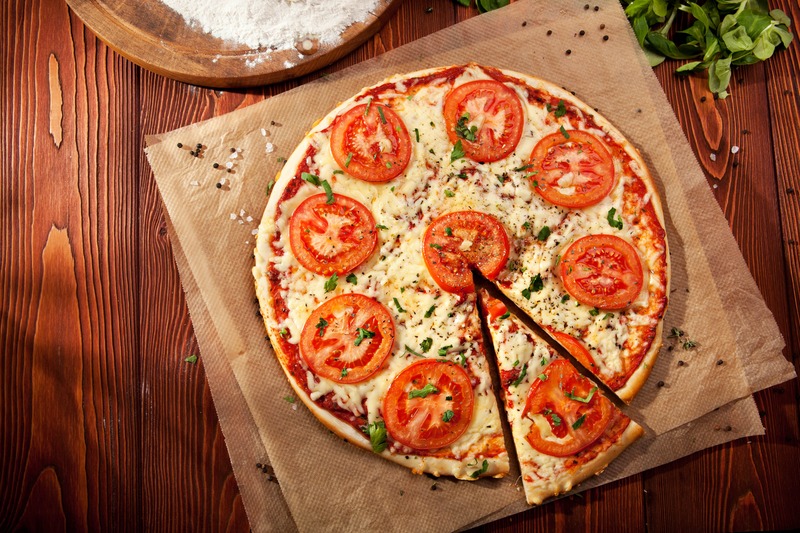 Yellow Brick Pizza is known for its unique signature pizzas and specials, and for the fact, it also caters towards gluten-free and vegan diets. I didn’t even know vegan cashew cheese existed until I found Yellow Brick. Their current special Tristano’s Chicago Stuffed Pizza--double crust, cheese filled, topping-stuffed wonder--it isn’t vegan-friendly, but nonetheless a head-turner. Pizza Rustica Columbus is actually a child branch of a franchise from Miami, but it’s gotten so popular that it’s much more well-known than its parent. 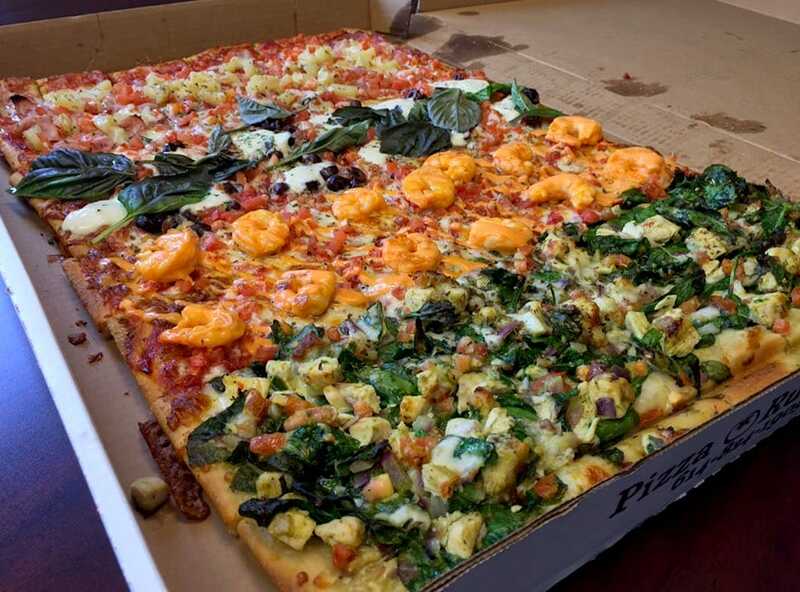 As for their menu, they offer a selection of salads, calzones, and even a couple dessert pies to choose from-- and salad pizzas, imagine that! Just because it’s a successful chain doesn’t mean it’s less than a small business pizza shop. 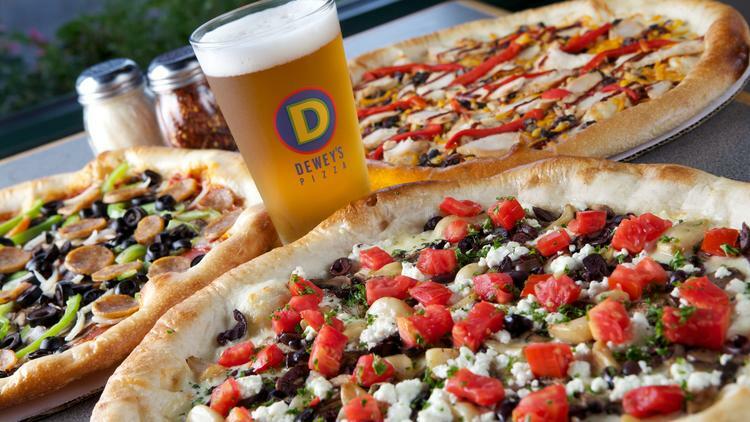 Dewey’s Pizza is a popular midwestern pizza chain that spans from Ohio to Kansas. Their fun-themed pizza names such as Green Lantern and Edgar Allen Poe, along with a broad vegetarian selection gives this place an edge. What is even more awesome is that Dewey’s has a volunteer network called Dewmore, because giving back is always a good idea. 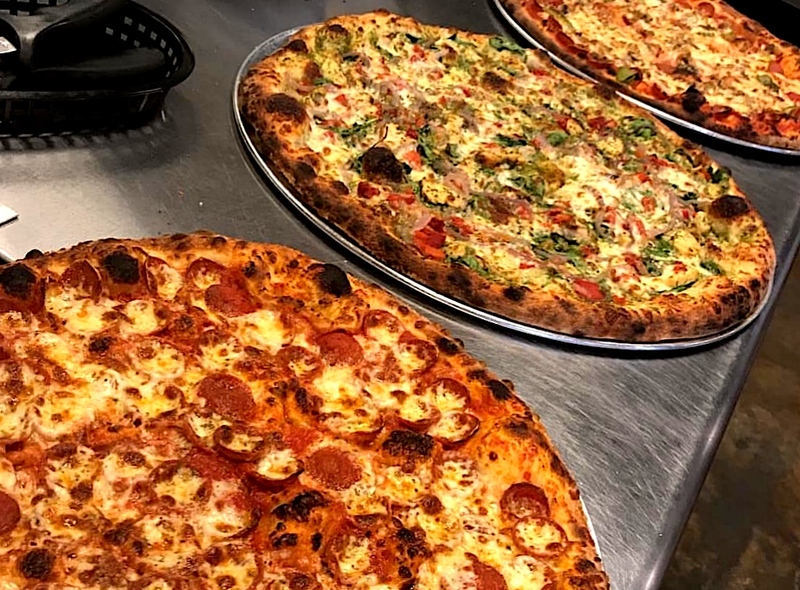 Even though GoreMade Pizza has an established a permanent location in Columbus’ Italian Village, they started as a mobile business and to this day they still drive around selling pizzas. With a wood-fired oven in their van, they often appear at local markets. Their bond with the community and their customers has always been a driving factor of their passion and success. It’s a long-time family business once led by the current owners’ grandparents, but Carfagna's Restaurant still keeps up the tradition with a variety of Italian meals. Their Italian Wedding soup and handmade specialties have Yelpers raving. Though Cafe Napolitana has been a downtown Columbus staple for years, it’s recently received a facelift. 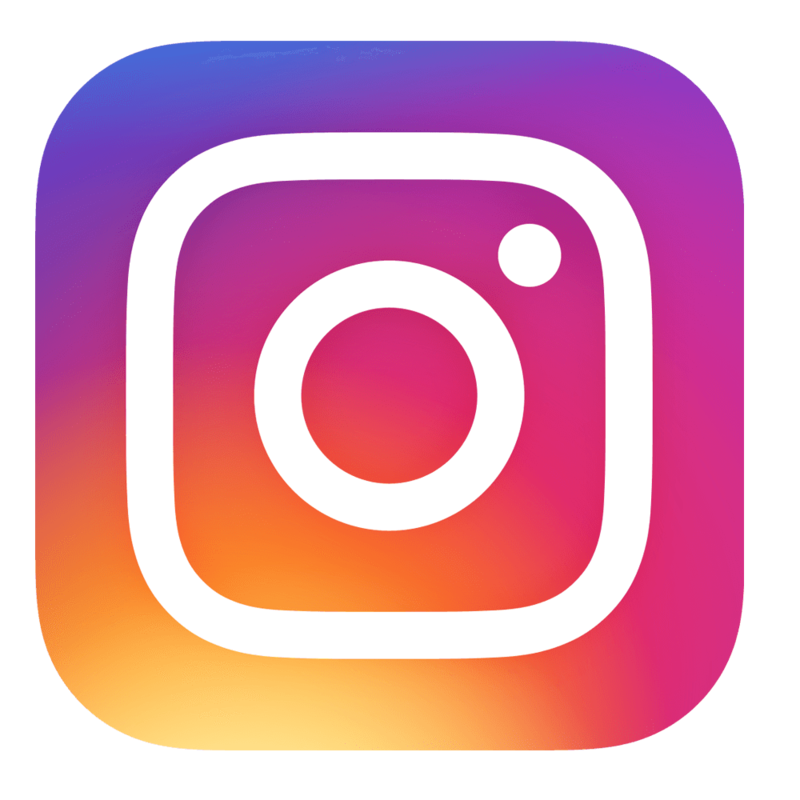 The website is sleek and modern, and they even added a blog and pictures and social media to keep up with the times. It’s the same traditional pizza and bar, but with a new look. It’s not too late to discover it; it’s the same taste as always! 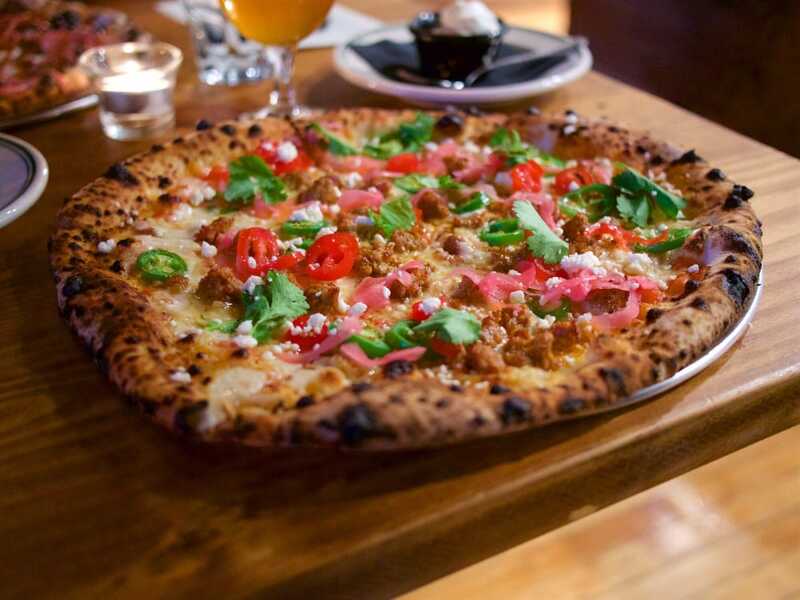 If you’re into the wood-fired craze, Paulie Gee’s may be a good place to add to the list. 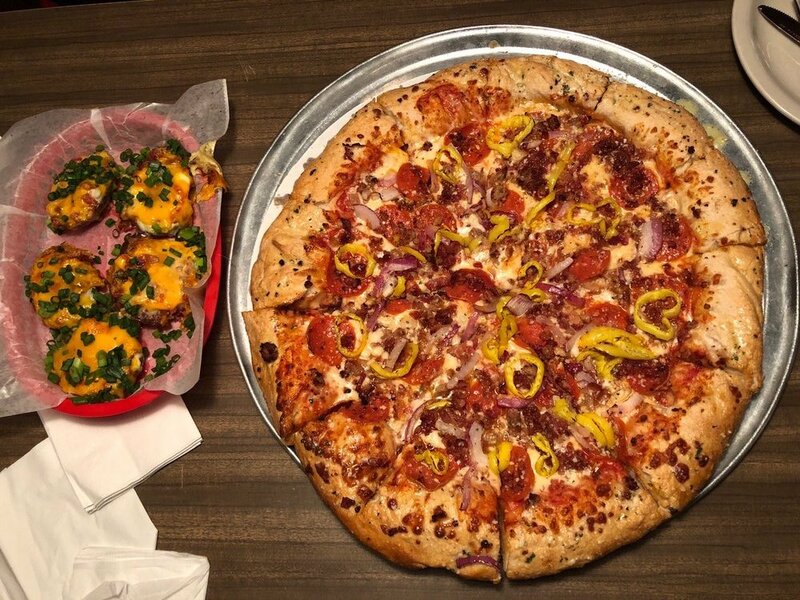 Although it’s a New York-based pizza chain, Paulie Gee’s South-North is the Columbus branch that’s still 5-starring on Yelp. I suggest keeping an eye on the website’s weekly schedule--there are special deals Tuesday to Friday, depending on the time. It’s called a “hole in the wall” because of its location, but it’s also what many would call a “hidden gem.” Customers are nonetheless impressed, though some have complained that Bono Pizza is not easy to find. They specialize mostly in pizzas with some salads and even have a dessert pie. Iacono’s Pizza is what locals would call a typical “mom-and-pop” Italian restaurant. 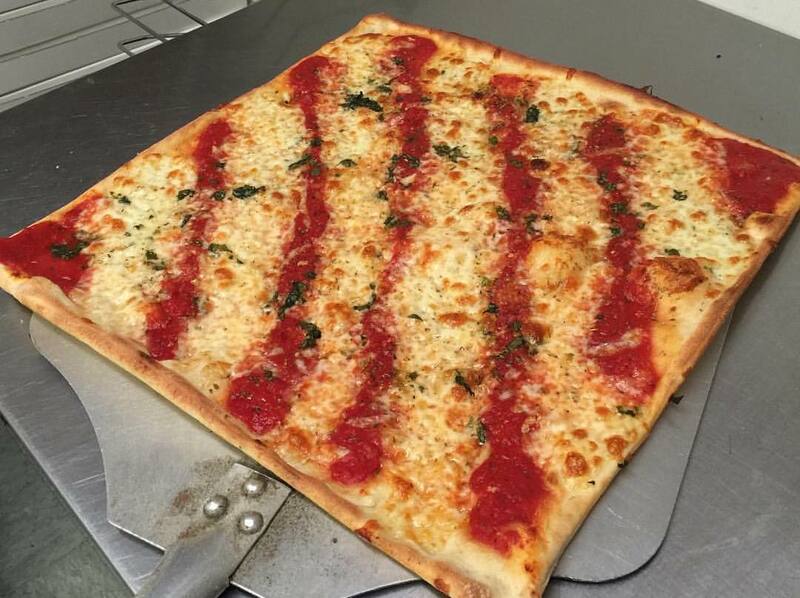 Their pizza mirrors traditional Italian recipes with its thin crust, a favorite among their regulars. Though Iacono’s is primarily a pizza joint, customers also praise their homemade spaghetti and meatballs, and selection of subs. Other notable points include the weekday lunch buffet and salad bar, which attract customers on an ongoing basis. And that’s not even all the top-rated pizza places in Columbus. Hey, even if you’re not quite convinced to make the move, it’s at least a must-visit. 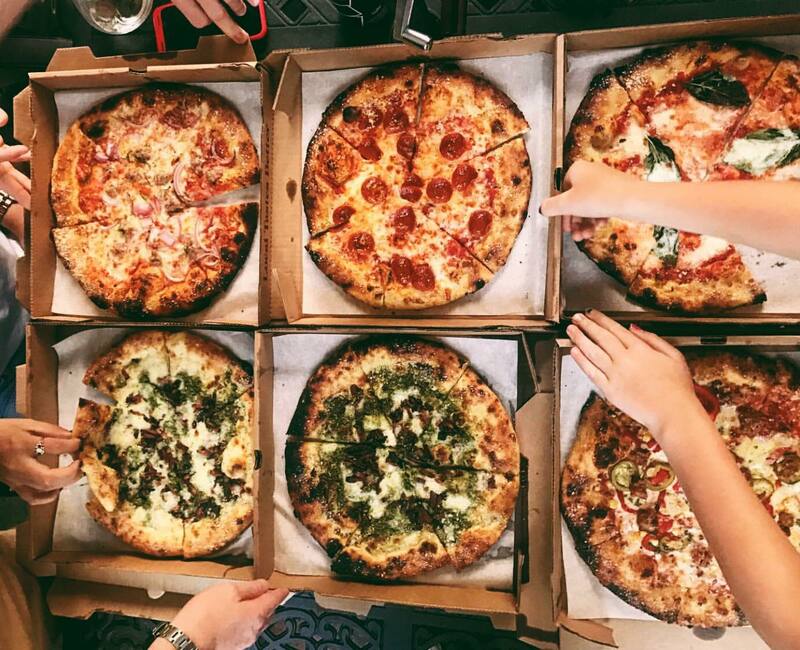 If we’ve somehow convinced you to actually move there because of the pizza, check out listings for new homes in Columbus with HER.